Milpitas, CA, and Atlanta, GA. – February 7, 2019 – Bigfoot Biomedical, Inc., a diabetes company developing data-driven solutions for optimizing the dosing and delivery of insulin, today announced a commercial supply agreement with Owen Mumford, a global industry leader in medical device design and manufacturing, to support inclusion of Owen Mumford’s family of Unifine® Pen Needles into Bigfoot’s in-development connected injection system subscription supply bundles. Milpitas, CA, Indianapolis, IN. – January 7, 2019 – Bigfoot Biomedical, Inc., a diabetes company using artificial intelligence to develop solutions for optimizing the dosing and delivery of insulin, today announced a non-exclusive cooperation agreement with Eli Lilly and Company (NYSE: LLY) to support integration of Lilly’s insulin products into Bigfoot’s systems currently in development. 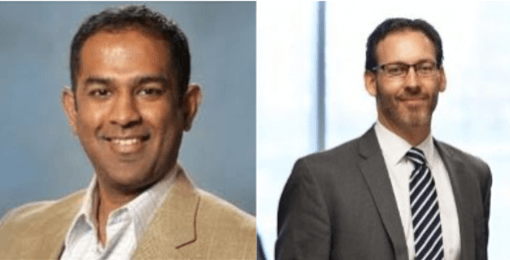 Milpitas, California, October 18, 2018 – Bigfoot Biomedical, Inc., a diabetes solutions and digital health company using artificial intelligence to optimize the dosing and delivery of insulin for people with insulin-requiring diabetes, today announced the appointment of Ian Hanson and Jyoti Palaniappan to its executive leadership team, in the roles of Chief Technology Officer and Chief Commercial Officer, respectively. 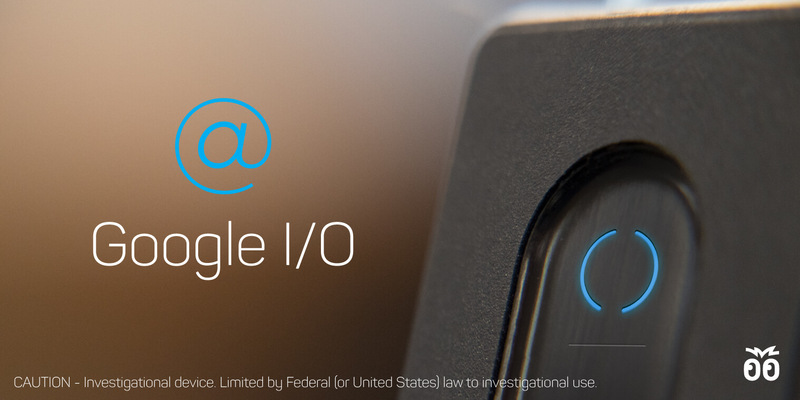 Milpitas, California, May 10, 2018 – Bigfoot Biomedical, Inc., a diabetes solutions company using artificial intelligence to optimize the dosing and delivery of insulin for people with insulin-requiring diabetes, has been included as part of a demonstration showcasing new Android security features at the annual Google I/O developer conference in Mountain View, California. Milpitas, California, March 28, 2018 – Bigfoot Biomedical, Inc., a diabetes solutions company harnessing the power of artificial intelligence to optimize the dosing and delivery of insulin for people with insulin-requiring diabetes, today announced that the company has completed a $55 million Series B equity financing with new investments from Abbott and other new and existing investors, bringing the total amount of equity raised by the company to over $90 million. Milpitas, California, December 18, 2017 – Bigfoot Biomedical, Inc. today announced that the company has raised $37 million in the initial tranche of a Series B equity financing. The round is co-led by funds managed by a new investor, Janus Henderson Investors, along with Bigfoot’s largest existing investor, Quadrant Capital Advisors, Inc.
Milpitas, California, November 3, 2017 – Bigfoot Biomedical, Inc., a medical device company harnessing the power of artificial intelligence to automatically and continuously optimize insulin delivery for people with insulin-requiring diabetes, will present data from a clinical trial at the 17th Annual Diabetes Technology Meeting in Bethesda, Maryland. Milpitas, California, United States, and Burgdorf, Switzerland, October 24, 2017 – Bigfoot Biomedical and Ypsomed (SWX:YPSN) today announced that the companies have entered into an agreement under which Ypsomed will supply Bigfoot with a customized proprietary version of its Orbit® infusion sets as part of Bigfoot’s investigational automated insulin pump-based solution for use in a pivotal trial. Abbott Park, Ill., and Milpitas, Calif., July 13, 2017 – Abbott and Bigfoot Biomedical today announced that the companies have entered into an agreement to develop and commercialize diabetes management systems, integrating Abbott's FreeStyle® Libre glucose sensing technology with Bigfoot's insulin delivery solutions in the United States. 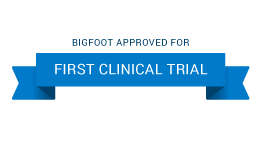 Milpitas, CA, United States, and London, England, June 8, 2017 – Bigfoot Biomedical, Inc., a new kind of medical device company harnessing the power of machine learning to automatically and continuously optimize insulin delivery for people with insulin-requiring diabetes, today announced that it has acquired London-based biotech company Patients Pending, LTD, makers of the Timesulin® insulin pen timer cap, and its Bluetooth-enabled insulin pen dose capture technology. Milpitas, CA, May 24, 2017 – Bigfoot Biomedical, Inc., a new kind of medical device company harnessing the power of machine learning to automatically and continuously optimize insulin delivery for people with insulin-requiring diabetes, today announced that biomedical industry entrepreneur Karen Talmadge, PhD, has joined its experienced Board of Directors. Milpitas, CA, May 18, 2017 – Bigfoot Biomedical, Inc., a privately held innovative machine learning company focused on developing solutions intended for people with insulin-requiring diabetes, today announced the members of its Clinical Advisory Board which will provide expert guidance to the team at Bigfoot working to develop an innovative product portfolio. 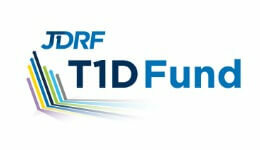 Milpitas, CA, February 17, 2017 – Bigfoot Biomedical, Inc. today announced a significant investment from T1D Exchange, a nonprofit organization driving faster, more informed research and commercialization efforts to improve outcomes for people with T1D. The collaboration with Bigfoot marks the first investment out of T1D Exchange’s multi-million dollar initiative to accelerate the development and delivery of automated insulin delivery technology and solutions. Milpitas, CA, January 27, 2017 – Bigfoot Biomedical, Inc., a highly anticipated machine learning company founded by people directly impacted by Type 1 Diabetes (T1D), today announced an equity investment from the newly established JDRF T1D Fund, a strategic venture philanthropy fund with a focus on making high‐impact, early‐stage investments to accelerate commercial development of life‐changing therapies for people living with T1D. 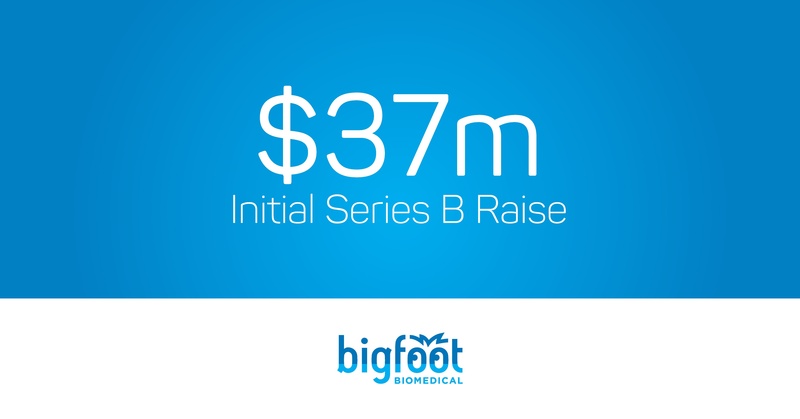 Milpitas, CA, October 19, 2016 – Bigfoot Biomedical, Inc., a highly anticipated precision medicine company founded by people directly impacted by Type 1 Diabetes (T1D) today announced a Series A investment of $35.5 million, led by entities advised by Quadrant Capital Advisors, with participation from Cormorant Asset Management, Senvest Capital, and Visionnaire Ventures. 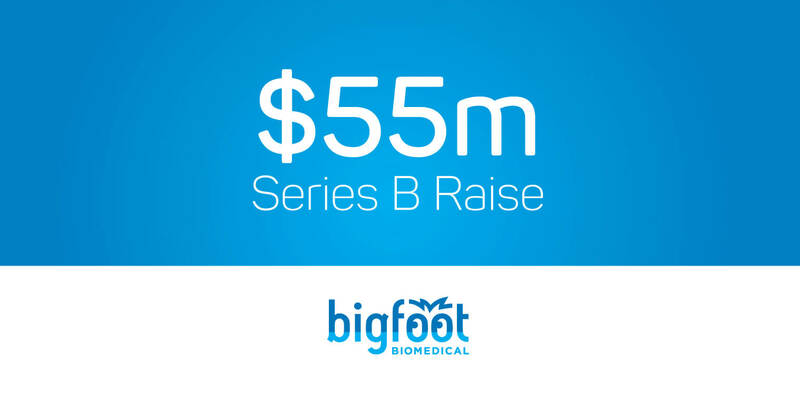 The funding will support final development activities for Bigfoot’s smartloop™ automated insulin delivery service, the world’s first Internet-of-Things medical device system delivered as a monthly service. 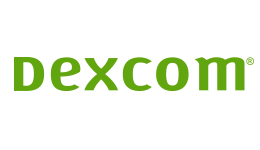 New York, NY — Bigfoot Biomedical, Inc. today announced it has entered into a development agreement with Dexcom, Inc. to integrate data from the Dexcom Continuous Glucose Monitoring (CGM) System into the Bigfoot insulin delivery system. Bigfoot Biomedical is developing a comprehensive Type 1 Diabetes (T1D) Management System employing simple design, cloud connectivity, and human-centered-automation. The newly announced partnership will enable glucose data to travel seamlessly from the Dexcom transmitter into the Bigfoot system to enable automated delivery of insulin for people with T1D. 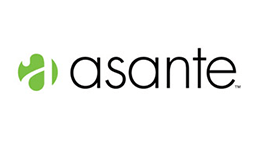 New York, NY, May 28, 2015 – Bigfoot Biomedical, Inc., a company developing a comprehensive Type 1 Diabetes (T1D) Management System employing simple design, cloud connectivity, and human-centered-automation, today announced it has acquired all assets of Asante Solutions, manufacturer of the Asante Snap insulin pump. The acquisition marks a strategically meaningful step towards Bigfoot’s broader vision to provide all people with T1D an accessible, affordable, automated, connected solution.